Henry made Anne Boleyn Queen. AndÂ their history here began. For the girls cousin who wore the crown! So the axe fell on her neck so fair. Castles for a dowry but follys are! 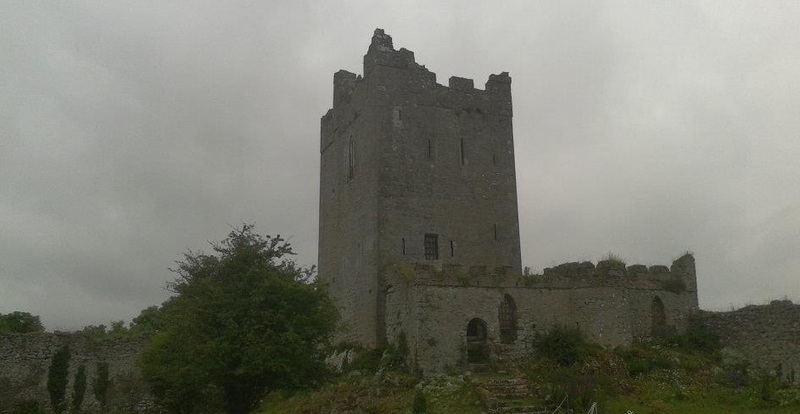 This is Clononey Castle, between Cloghan and Shannonbridge / Shannonharbour in Co. Offaly Ireland, the home of Thomas Boleyn, Anne Boleyns father. It seems she did not grow up here, it was given to her father in exchange for her hand in marraige, but there are cousins of hers buried there. A mine of information? Im still learning myself. Its local belief she grew up here but facts say otherwise. A sort of rural version of the urban myth, maybe?